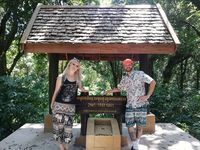 An amazing journey through some of the less traversed tracks and trails in the northeast of the Kingdom of Siam – Thailand. 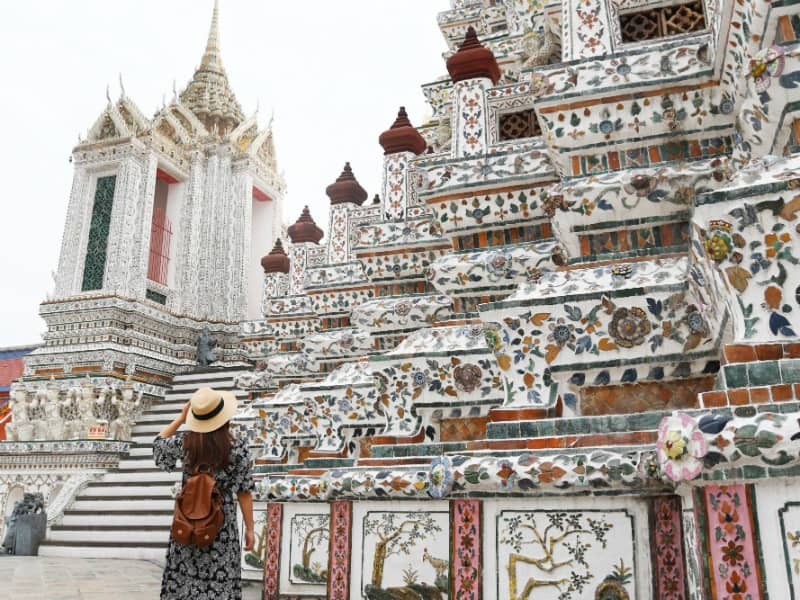 Your voyage begins from the hustle and bustle of the busy streets of metropolitan Bangkok, filled with a mix of modern architecture, and ancient temples. 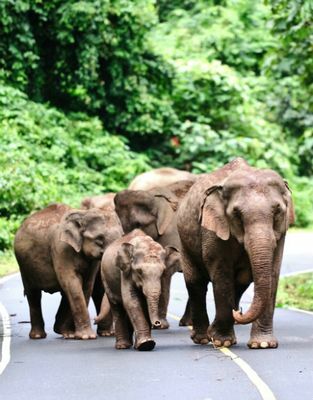 The road then takes a quiet turn away from the skyscrapers and towards the remote mountains in the northeast, nearby Chiang Mai. 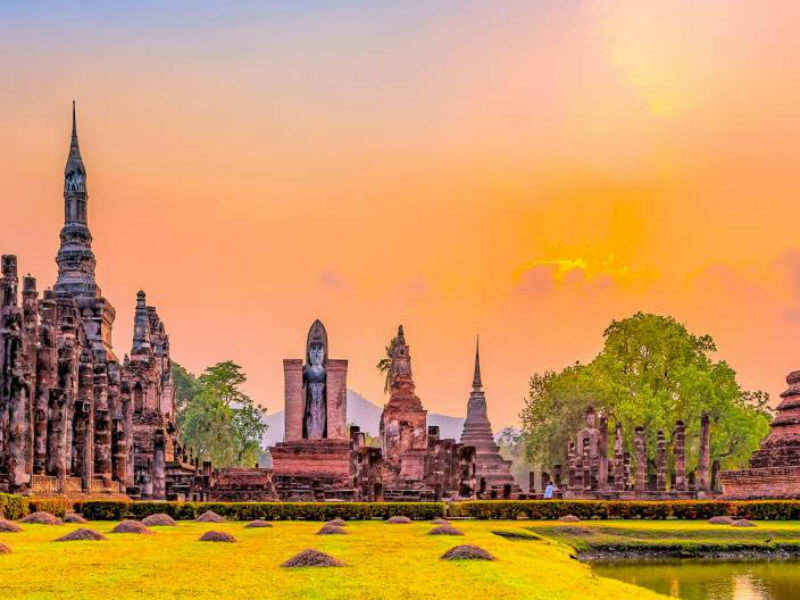 Along the way, we introduce you to the history of ancient Ayutthaya, an infamous railway line by the River Kwai, ascend and descend a few breathtaking hills and mountains for the views. 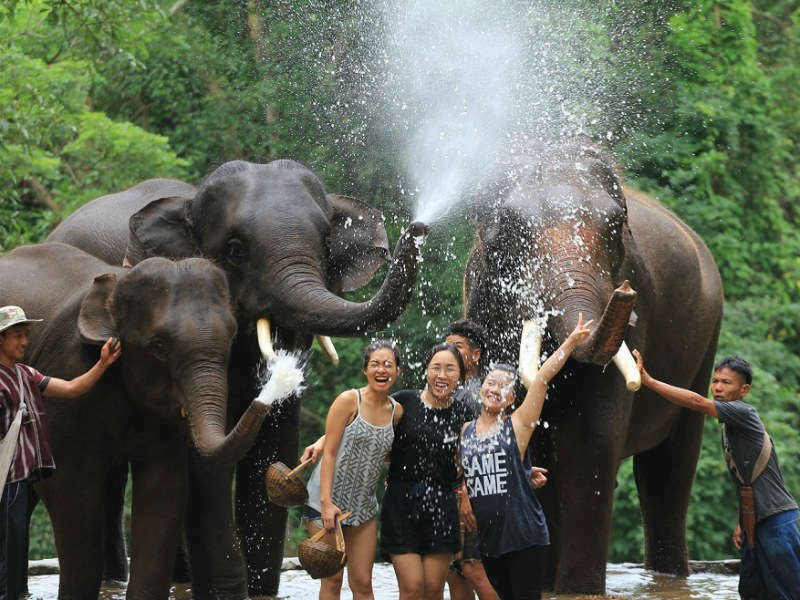 You will also have the chance to live a day in the life of a Thai Elephant Whisperer, also known as a mahout. Upon arrival at the airport, you will be met near the air-bridge and be escorted to the immigration counter without a queue. 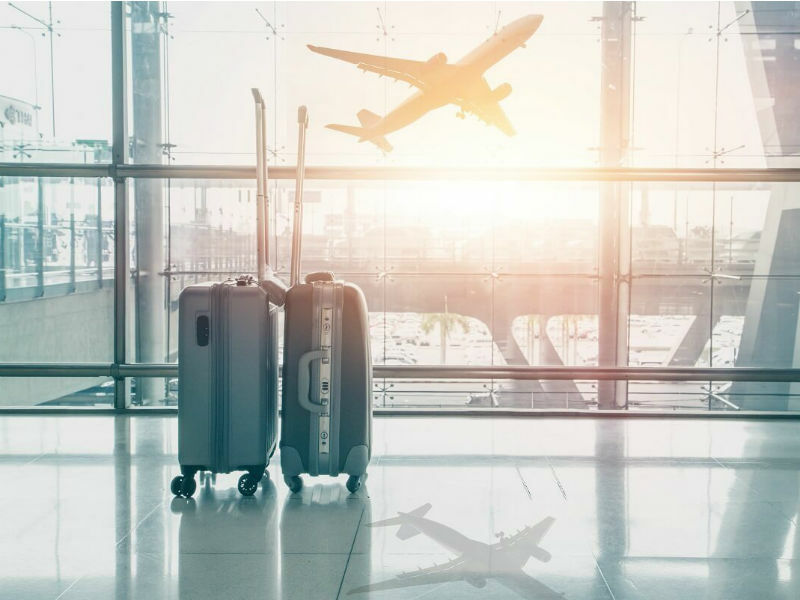 Our staff will carry your luggage at the luggage belt and take you directly to meet your driver for a transfer with a guide to your hotel check-in. Free time to stretch your body after the long flight. 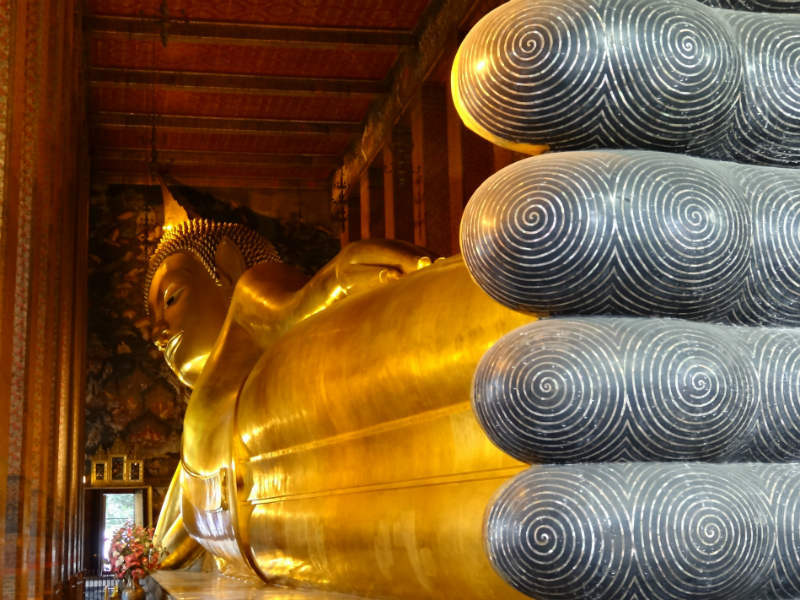 Our guide will pick you up at your hotel to take you to experience the mesmerizing chanting of the Buddhist monks at Wat Pho, one of the oldest temples in Bangkok. 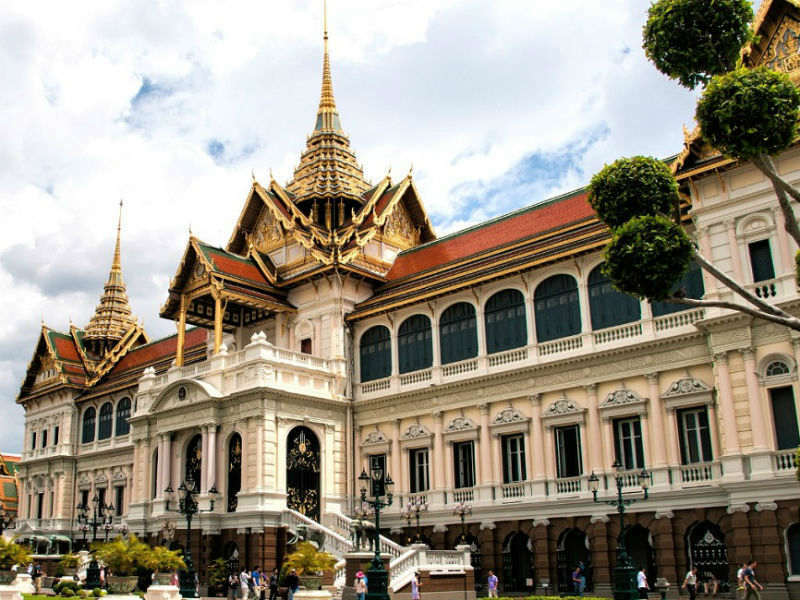 Continue to the Grand Palace that is known for being the most visually impressive, thus most important royal palace in Thailand. 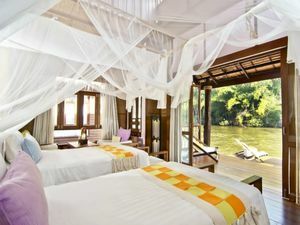 After lunch, board a private longtail boak onto the peaceful canal. 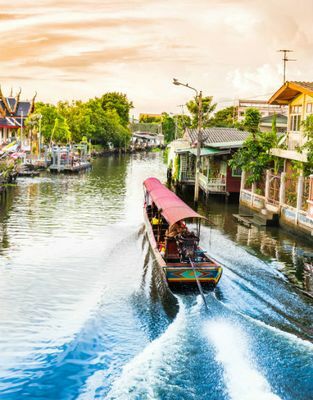 You will pass several shop house, local temples, landmarks, and vendors on the waterway which was once a major trading route. 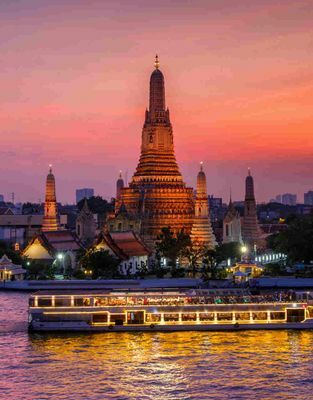 En-route back to your hotel, you will stop at one of Thailand’s more important religious sites; the Temple of Dawn - Wat Arun. 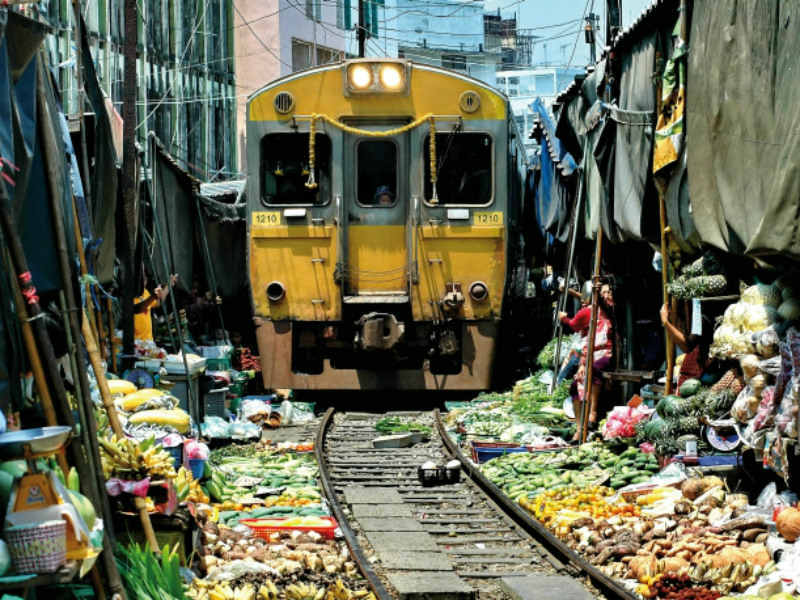 Visit the local Maeklong Railway Market about an hour outside of Bangkok, known as the “life-risking” market where stalls and canvas are attached to the railway. 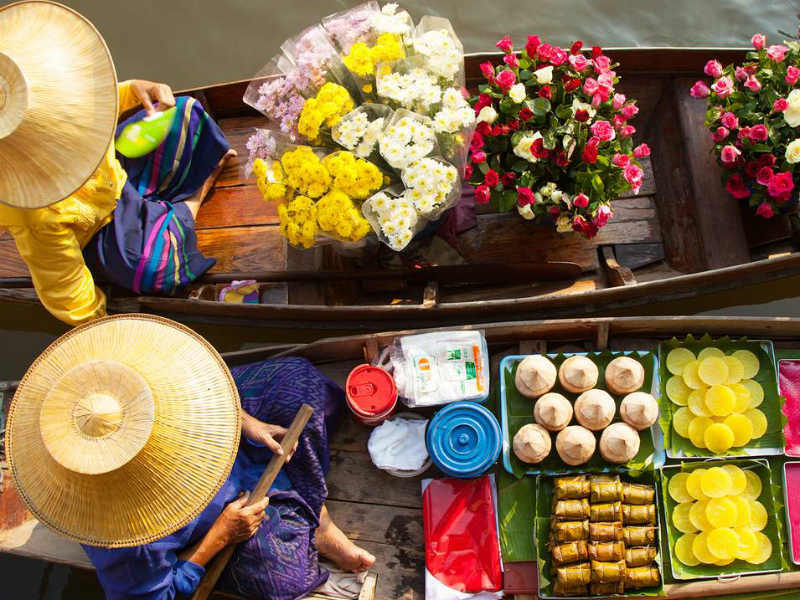 After that, head to the Damnoen Saduak Floating Markets, board a rowing boat and make your way through the small canals to buy fresh produce from boat stalls that are operated primarily by local women. 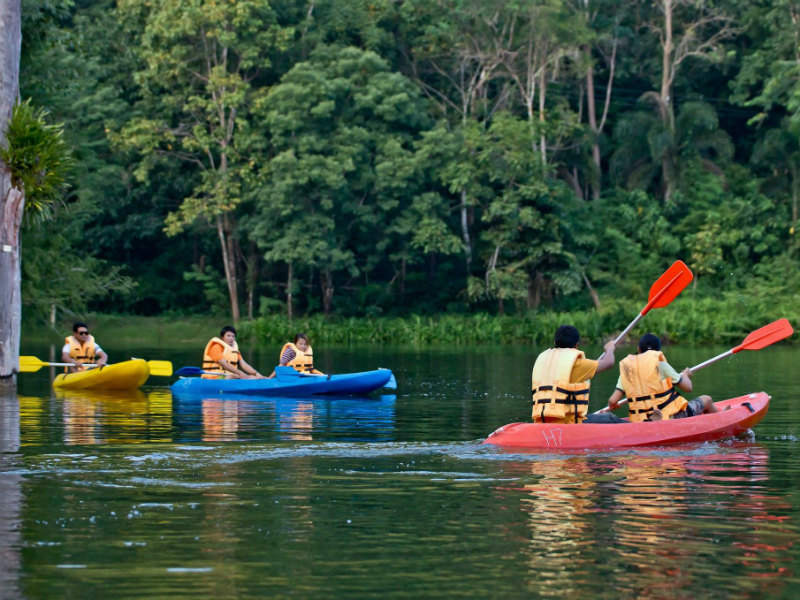 Continue to drive toward Kanchanaburi, enjoy lunch at a local restaurant on the way. 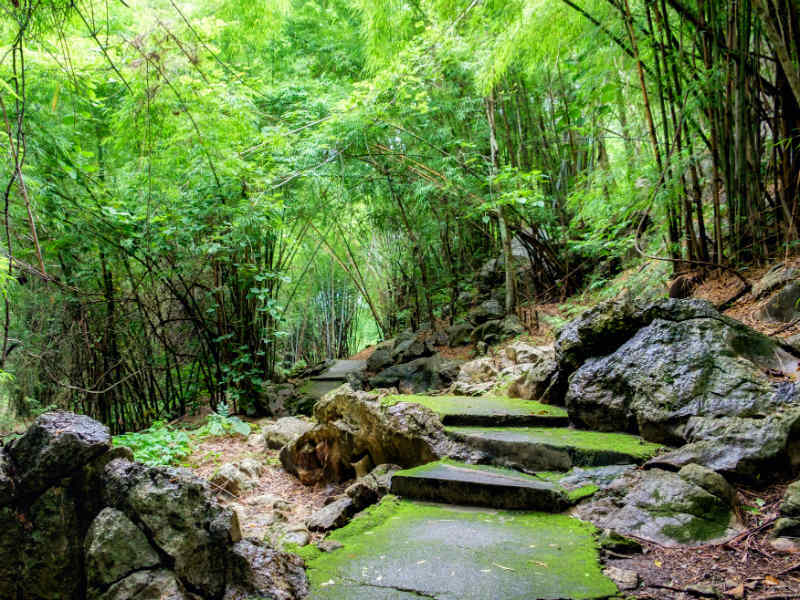 Stop in Nam Tok, known as “Hellfire Pass” in English, a railway line constructed by POWs during WWII. 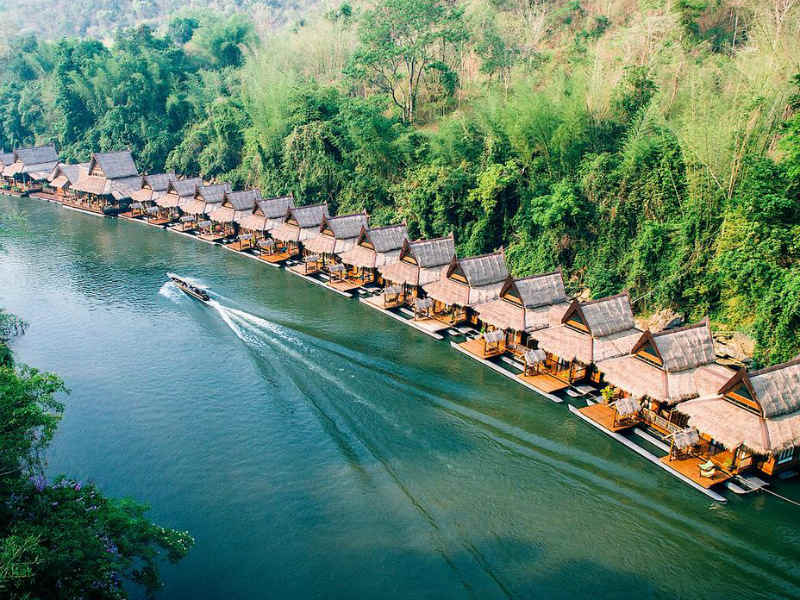 A leisurely boat ride then leads us on to the fabulous Float House River Kwai Resort. 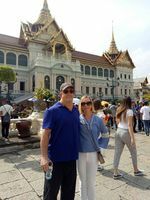 Heading into the Erawan National Park area, home to vast emerald green jungles and thundering waterfalls, hike to the famed Erawan Falls and admire the crystal clear waters and smoothened bedrocks amidst the scattered azure colored pools. 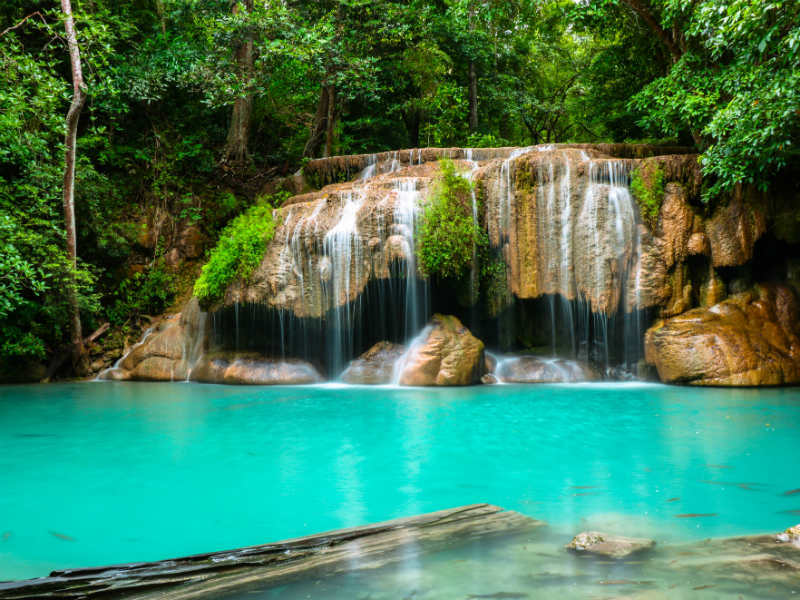 Do not hesitate to take a refreshing dip, as the hike to this location may warrant it. 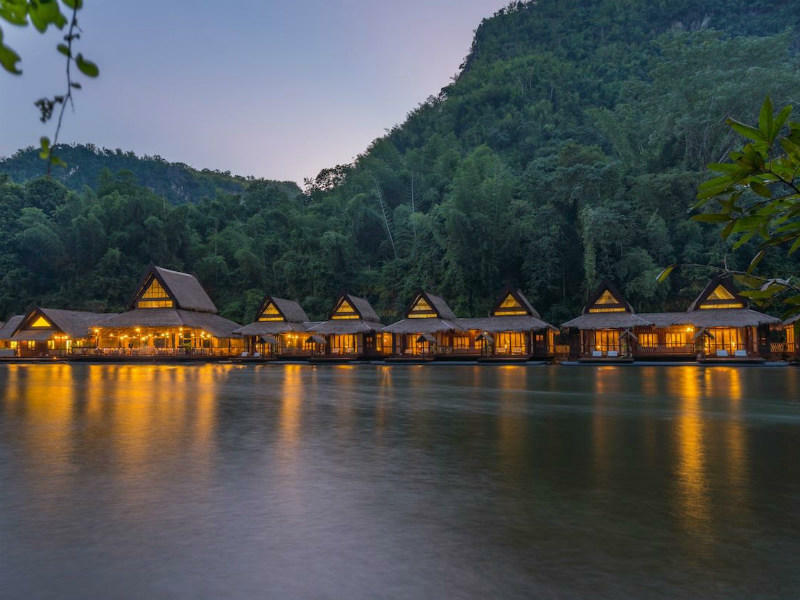 Lunch shall be served at a local restaurant, then dinner is served at your resort, where you will be spending the night. 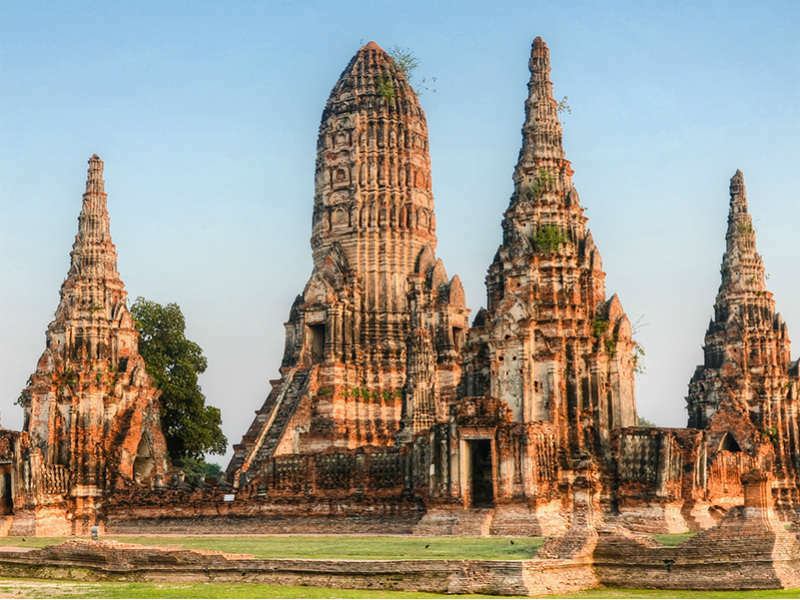 Departing for the former capital of Thailand; Ayutthaya, now a World Heritage Site, the city started off as a 16th Century shipping route to and from neighboring countries, then it became an essential port city with trade routes extending throughout the globe. 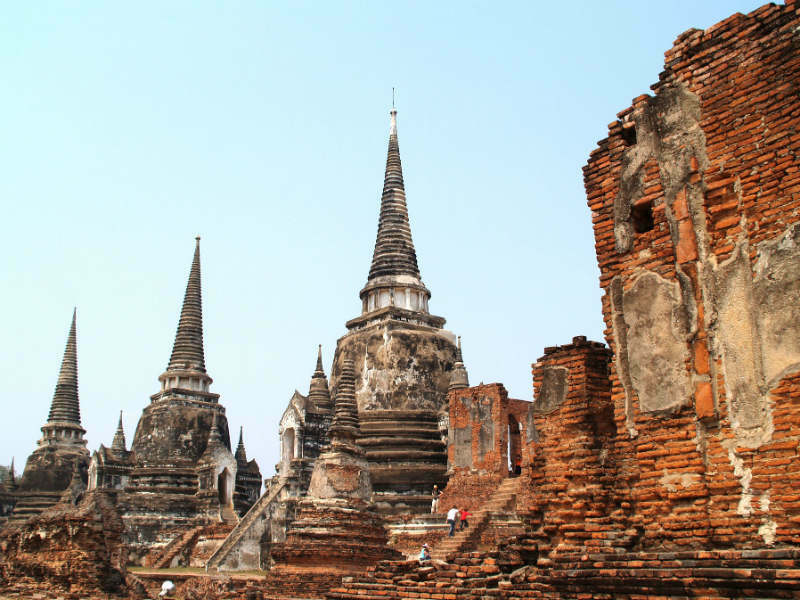 From the Summer Palace of the late King Rama V, and to various ruins depicting Ayutthaya’ former glory, there’s plenty to see. 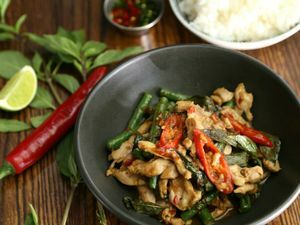 Enjoy a succulent Thai meal at a local restaurant. 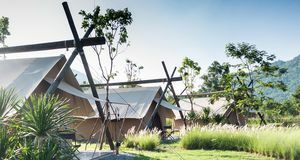 Once having enjoyed a nourishing breakfast, you will be free at your own leisure before traveling towards Sukhothai, residing approximately 4,5 hour’s drive away. 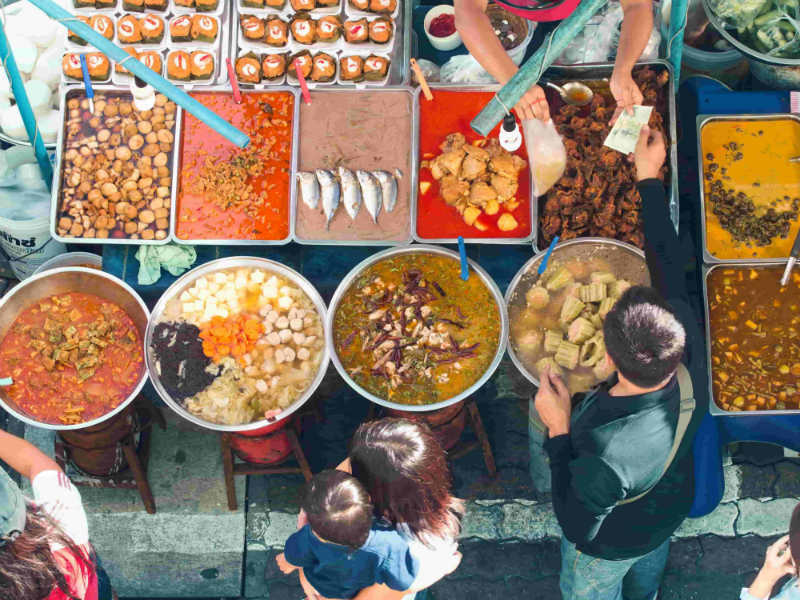 Lunch will be served en-route to your next destination at a local restaurant. 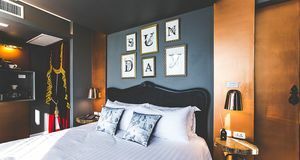 Once you’ve checked-in to your hotel, you are free to do as you please for the remainder of the day. 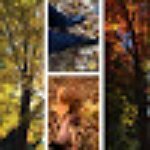 A local historian will share his knowledge with you during the morning. 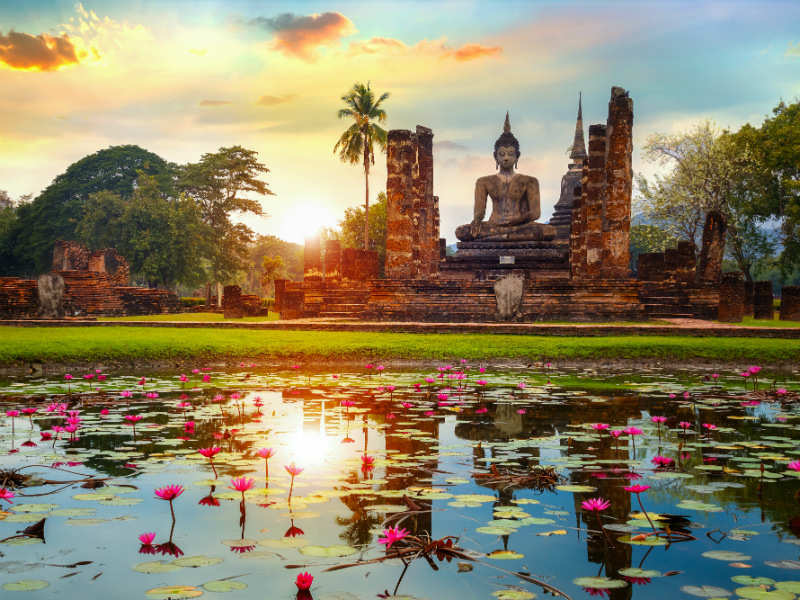 Sample a delicious dish of Sukhothai noodles, then you will have the opportunity to create your own Buddhist amulet. 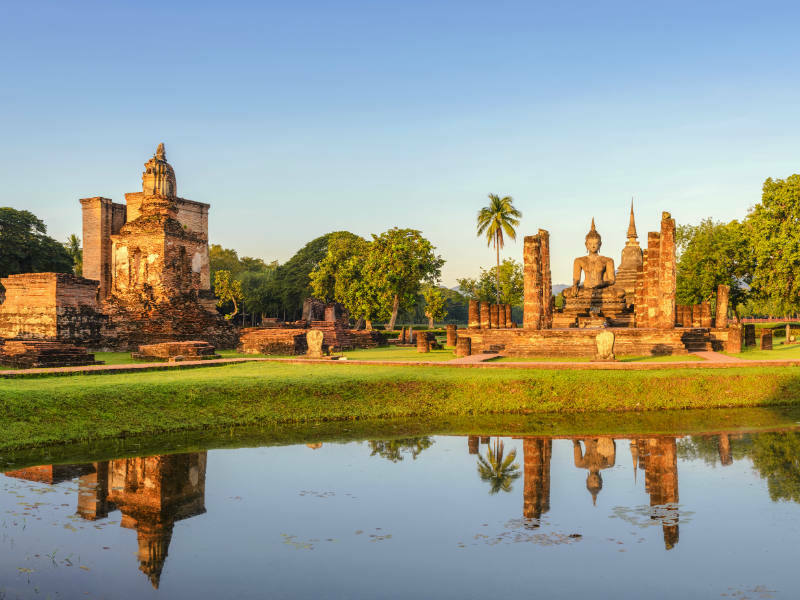 Next up take a winding bicycle ride through the ancient city of Sukhothai, one of Thailand’s most important feudal kingdoms. 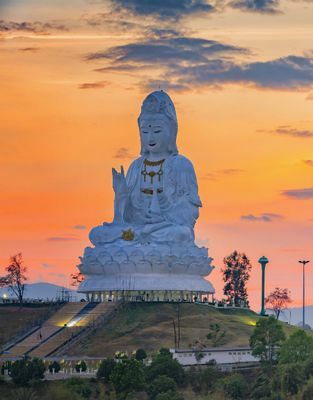 This UNESCO Heritage Site boasts a variety of incredible wall paintings, intricately carved elephants, images of Buddha and a towering stupa. 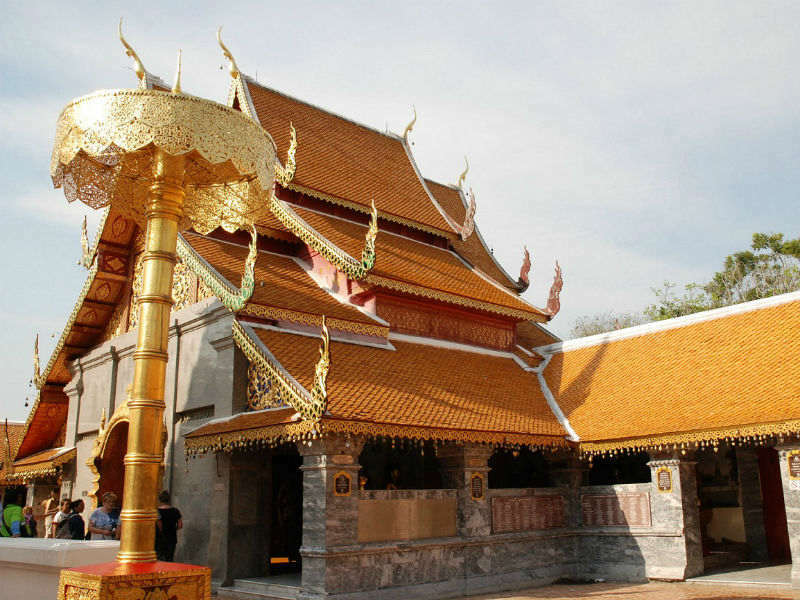 Explore the historical center of Phrae, as well as its surroundings. 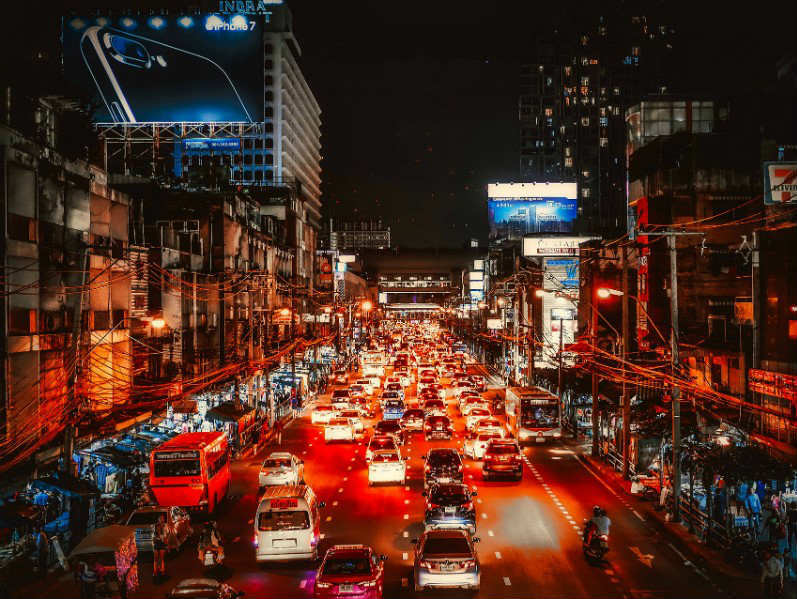 Once a busy trading post for teak wood, today it remains a quiet city with small local communities scattered around its outskirts. Perfect for cycling, catching glimpses into the lives of local people, visiting local homes and workshops where they make a variety of handcrafted products. 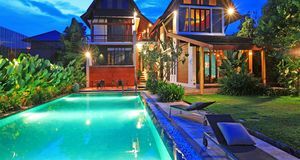 The ornate Vongburi House is an amazing pink colored almost all-teak mansion which serves as a teak museum nowadays. 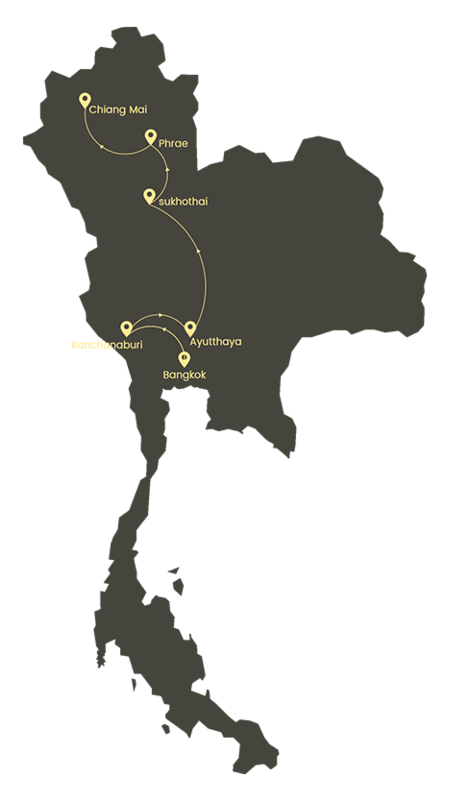 Once having enjoyed breakfast, you will be transported towards Chiang Mai. 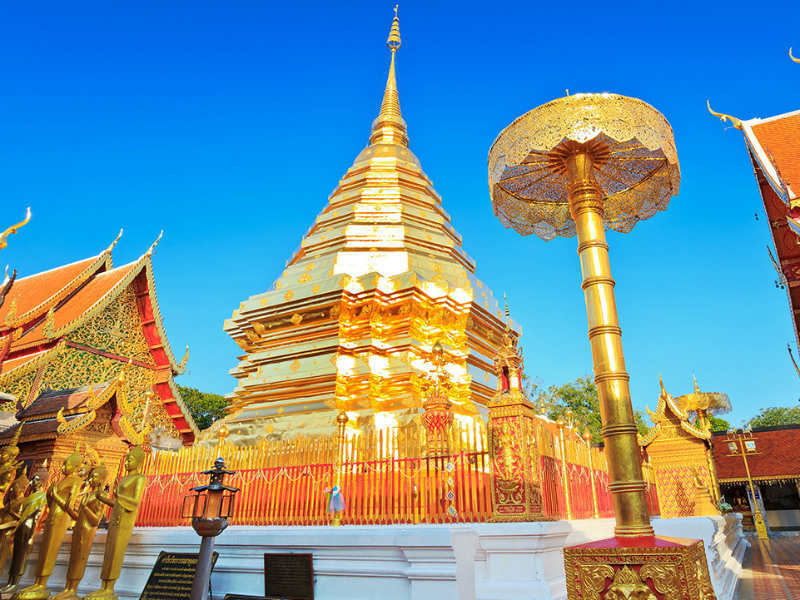 At mid-afternoon, once picked up by a guide you shall travel to Doi Suthep, one of Chiang Mai’s most noteworthy temples, on top of a large hill. 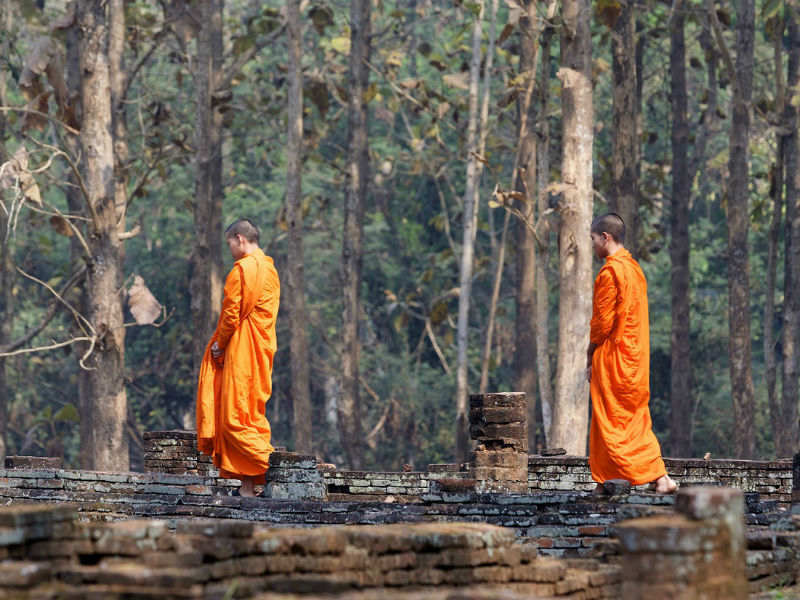 Experience a private blessing and witness the monks chant. 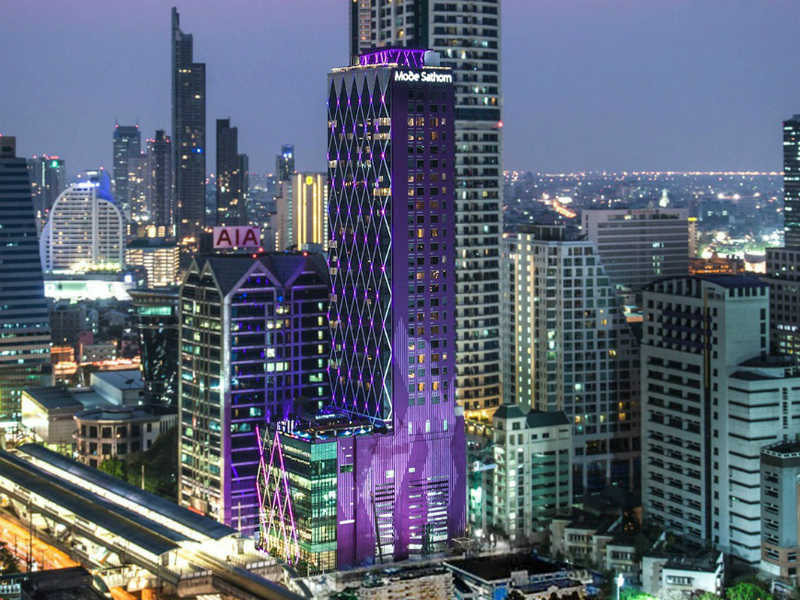 Soak in the spectacular views before returning to your hotel. 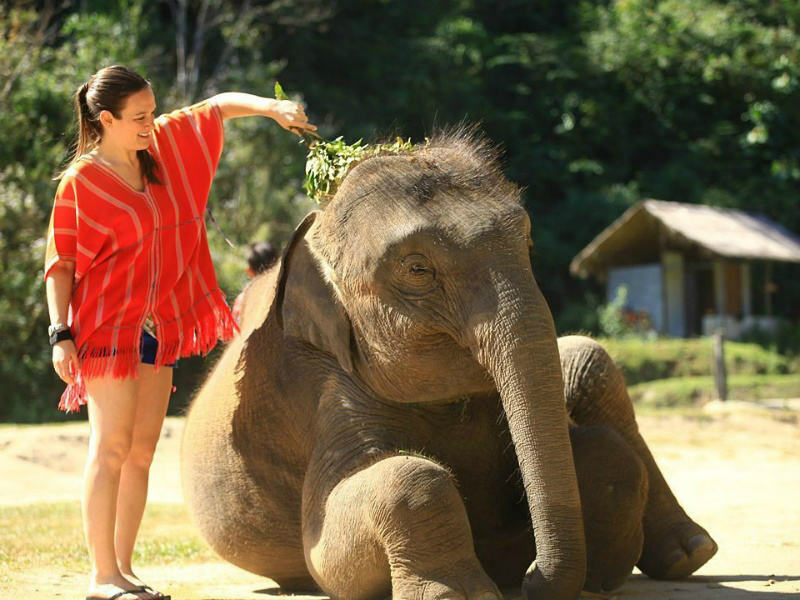 Early in the morning, you will be taken to Patara Elephant Farm, where you are to be briefed on the history of the Asiatic Elephant. 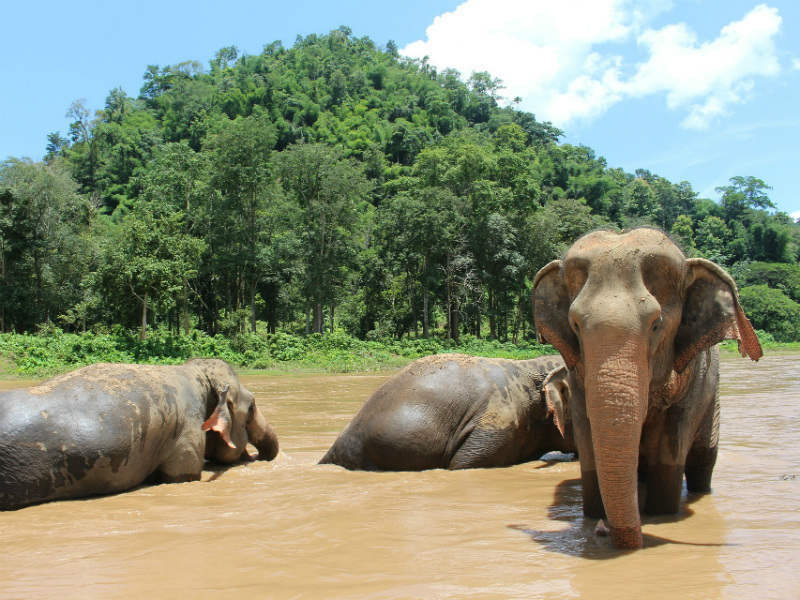 Embark on an informative training course that includes trekking to find the elephants in the bush, learning about farm management and breeding practices, training to approach the elephant, observing temperament, feeding practice and much, much more! 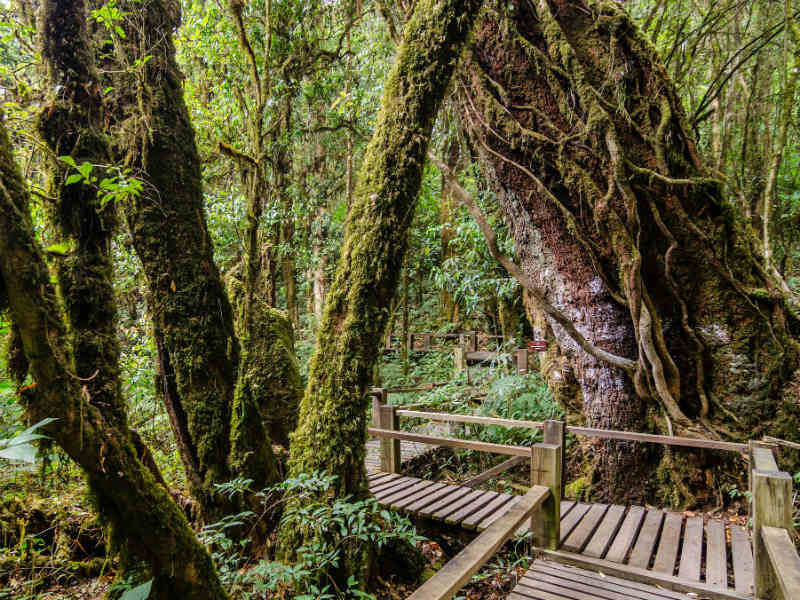 Spend time in Doi Inthanon National Park, famous for its cool climate, lush nature, countless waterfalls, and various resident hill tribes. 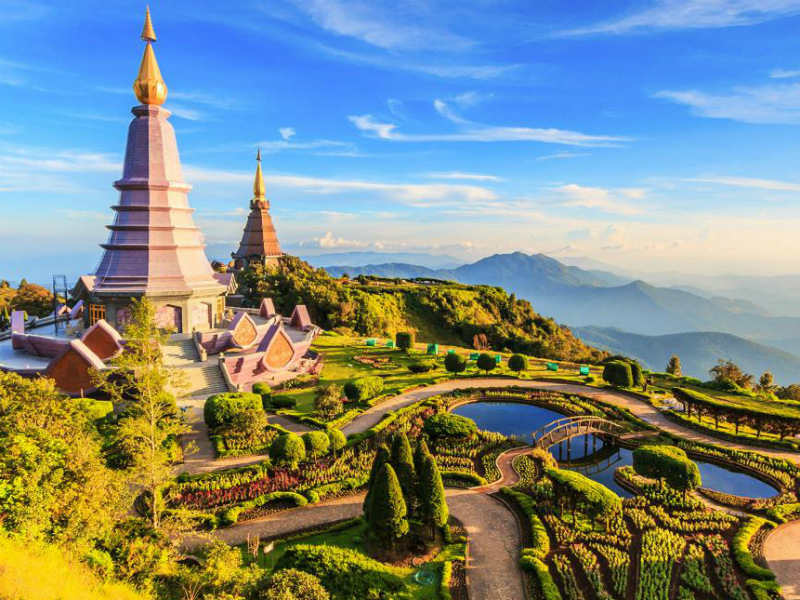 The highest peak in Thailand is also located here, at an altitude of 2,565 meters. 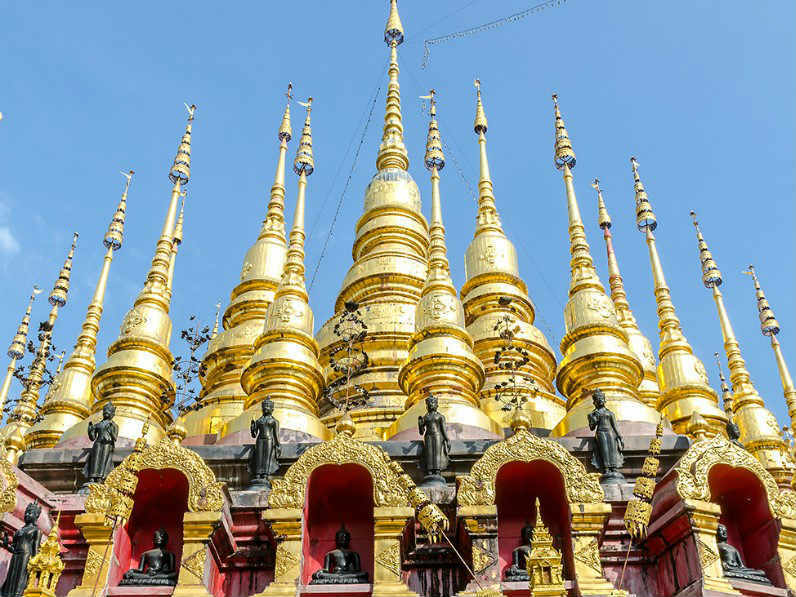 Highlighted sights are the many peaceful temples and numerous gushing waterfalls. 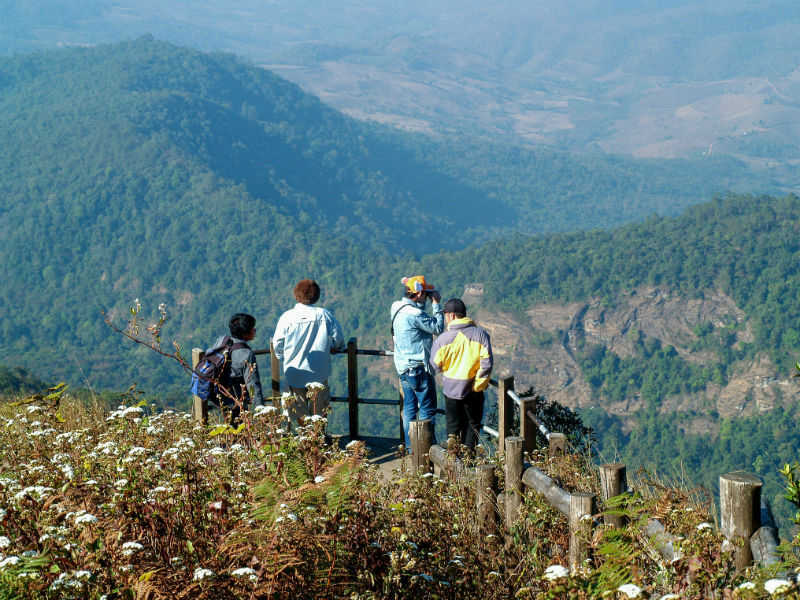 The resident communities of this National Park are of the Karen people, renowned for their unique fashion in wearing many hoops around their necks. 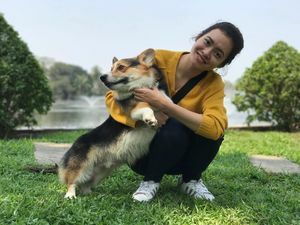 You are free to do as you please until it’s time to be transferred to the airport for your departure flight. Breakfast will be served at the hotel as per usual. Check out at 12:00 PM.